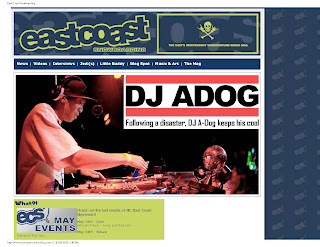 My photos from the benefit concert at Higher Ground for Burlington DJ ADog have been featured on the website for East Coast Snowboarding magazine. Andy “ADog” Williams lost everything in a fire that gutted an apartment building on North Ave. in the city earlier this month. Burton, Red Bull and Magic Hat Brewery were among the many sponsors who provided swag for raffles.